Alice Orzechowski, CPA, CMA, EA, was born and raised in Washington, DC. She holds BS degrees in Economics and Accounting from the University of Maryland, and an MS in Administration and Management from Hood College. She is licensed as a Certified Public Accountant, Certified Management Accountant, and Enrolled Agent. Alice has provided advice on tax-related matters in The Washington Post, The Frederick News Post, in various AARP publications, and on Wall Street Journal Radio, CNN, and Today’s Woman Television and is a national speaker on tax topics. Alice earned the CPA accreditation in 1976, and over the course of her 40-year career has developed a wealth of tax-related knowledge. She is published on the topic of tax planning for college expenses, and is a recognized expert on intergenerational wealth transfer. 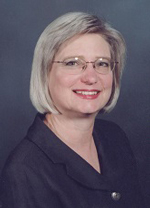 She is also the author of numerous articles and textbooks for tax professionals including “101 Tips for Maximizing College Financial Aid” and “Success Strategies for Understanding and Avoiding AMT." Alice is the owner of her own CPA practice, Alice Orzechowski CPA, LLC. She is also well-versed in federal and local corporate tax laws, and advises hundreds of clients on corporate tax strategy. In addition, Alice specializes in taxes for individuals, small businesses, and estates and trusts. Alice and her husband Scott live in the mountains on Caprikorn Farm, where they raise award-winning Saanen dairy goats and make cheese that is distributed to various high-end food stores such as Whole Foods. They currently have over 100 goats, each of which they have named!